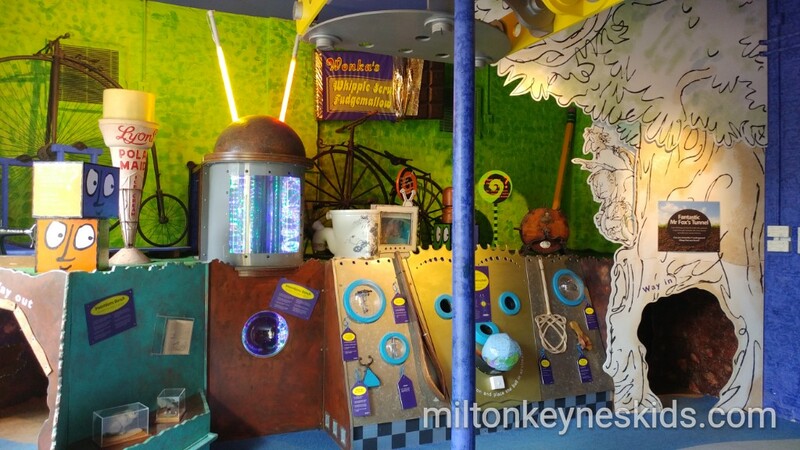 There are two fun places for children in Buckinghamshire dedicated to Roald Dahl and they’re not to be confused. 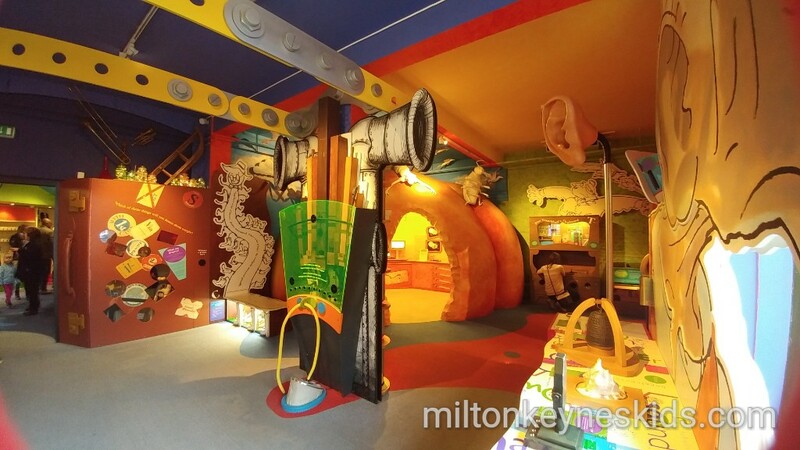 There’s the Roald Dahl Museum in Great Missenden which is more focused on the author’s life and has activities aimed at children aged 6 and over. Even though my boys are younger we have been. 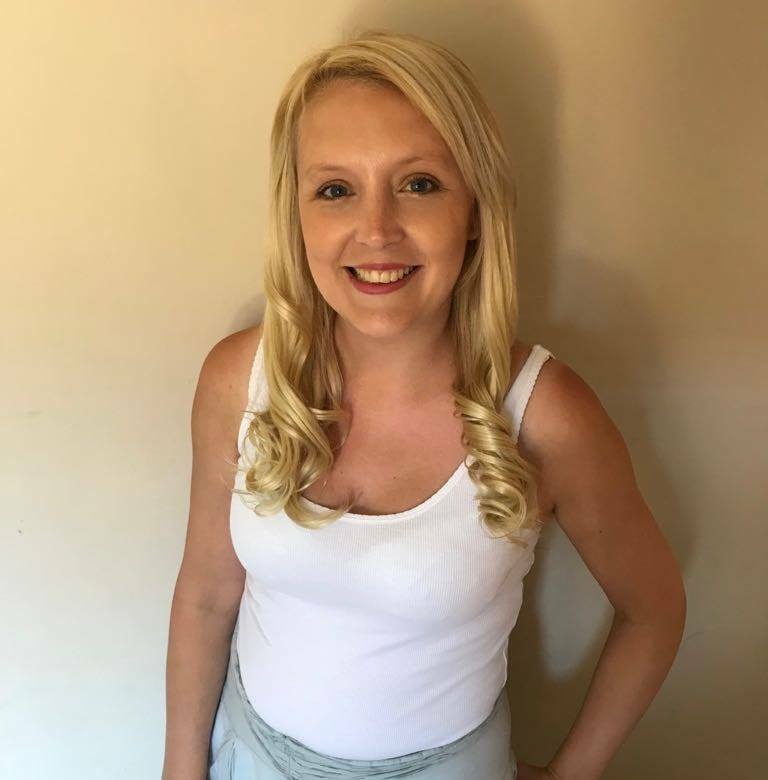 You can read our review by clicking here. 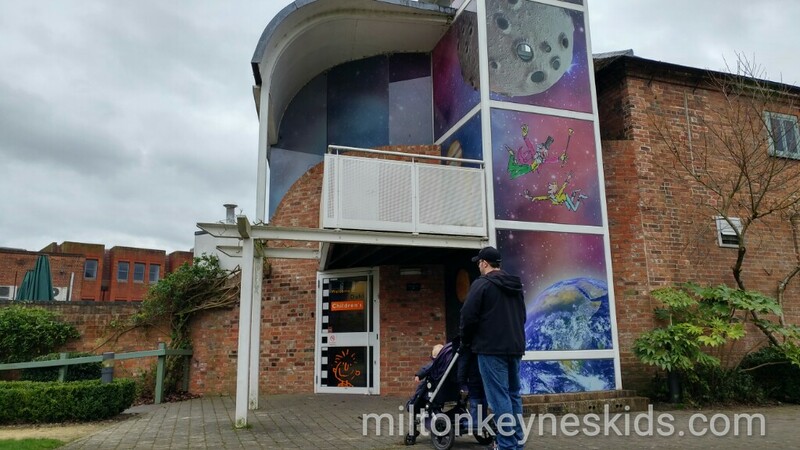 Not long after writing that review, we discovered that there’s a Roald Dahl Children’s Gallery in Aylesbury which is attached to Buckinghamshire County Museum. It’s much more suitable for toddlers and young children. We visited in February 2017 and we had an absolutely brilliant time. It’s not that big – only three rooms on two floors, but there are lots of hands-on activities to enjoy. Watch my video below and then scroll down for more information. What’s on the ground floor of the Roald Dahl Children’s Gallery? As we walked in we were struck by how bright and colourful the Gallery was with a space-like display hovering from the ceiling and bottles for George’s Marvellous Medicine high up above the door to the first room. Inside that room there’s a ‘Fantastic Mr Fox’ tunnel which my boys loved crawling through – there’s a camera inside so you can see your children from the outside; balance a ball on the jet of air; make different sounds by connecting pipes and using a foot pump; make your voice sound funny with the BFG voice changer; walk inside a giant peach and examine bugs with a microscope; play traditional wooden games from Mrs Trunchball’s cupboard and then chill in Matilda’s library. And that’s not everything. We spent a fair bit of time on each activity before moving on to the next one. My 3 year old loved them all. My 19 month old could enjoy some of them. 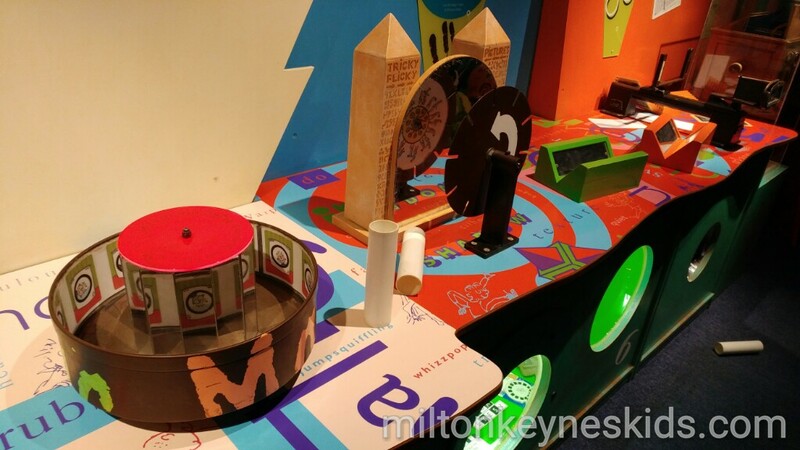 It’s all interactive and great fun whatever your age. It’s in Aylesbury town centre on Church Street. The postcode is HP20 2QP but you can’t park there. You need to park in a town centre car park and then walk up. We parked in Friars Croft car park (HP20 2TF) which cost £3 for the day and it was 5-10 min walk from there. You can also get a bus from MK to Aylesbury. Please do look at the the Roald Dahl Gallery website for opening days and times. 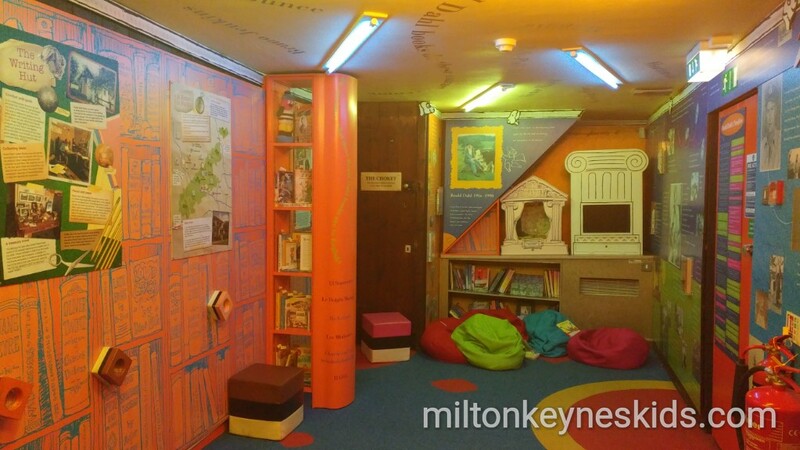 What’s upstairs in the Roald Dahl Children’s Gallery? There’s a cool staircase that takes you up to the second floor. There’s a fun mirrors section and holes you put your hands into to guess what’s hiding. We loved the ‘Mike TV’ green screen. You stand in front of a green wall – and then using a green cloak you can make yourself disappear – just like in the films! We also enjoyed creating shadows in a darkened room that magically stay on the wall. What can we eat at the museum? Well, like everywhere we go, we took a picnic. There are tables and chairs outside. There is a very very small café in the museum itself which sells hot drinks and a couple of sandwiches. If you’re looking to eat out then the museum is in Aylesbury town centre itself so you could easily walk to a bigger café or restaurant. What else can we do and how long did you spend there? 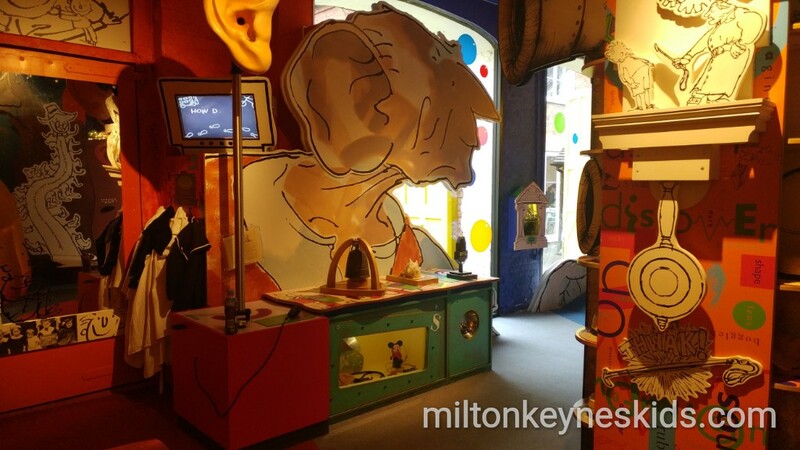 The Roald Dahl Children’s Gallery is attached to Buckinghamshire County Museum. You can go in this museum for free. 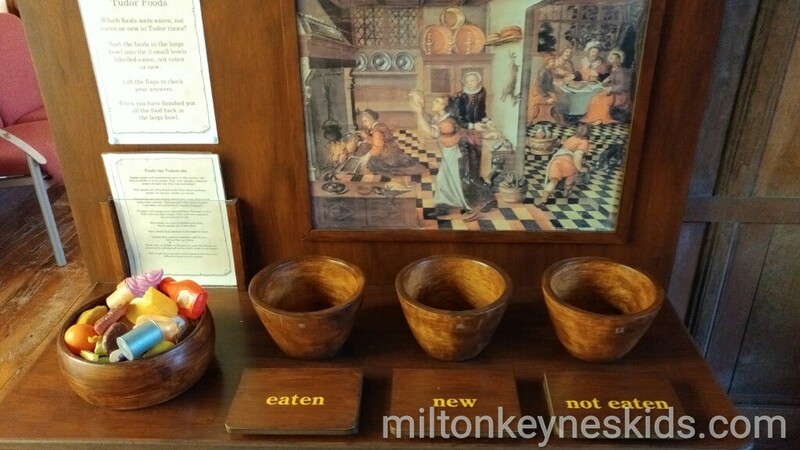 It’s a very traditional museum with a couple of modern galleries, but there are a few hands on activities for children including a wooden farmyard scene and a Tudor house. If you’re interested in the Paralympics (as my family are) then when we visited there were some wonderful portraits and memorabilia to look at. We spent about 4 and a half hours at both places. But that did include us having lunch, doing the Roald Dahl Gallery twice and my 19 month old having a nap. How much is it and have you gone back? At the time I wrote the review above in February 2017 it wasn’t the cheapest day out, but they did allow you to pay once and then return half price for the rest of the year and I felt it worthy of inclusion as a ‘cheap day out’. However since going back in August 2018 they have put the prices up and that offer no longer stands. The most recent prices (although still check before you go) are £7.70 for an adult, £5.50 for a child and under 4s are by donation. And we were specifically asked how much we’d like to donate for my youngest son. I think it’s fine if you go as an adult with a young child, but for a family of four who would all be paying then it’s £22, given the size of it you may wish to think about whether it’s worth it. 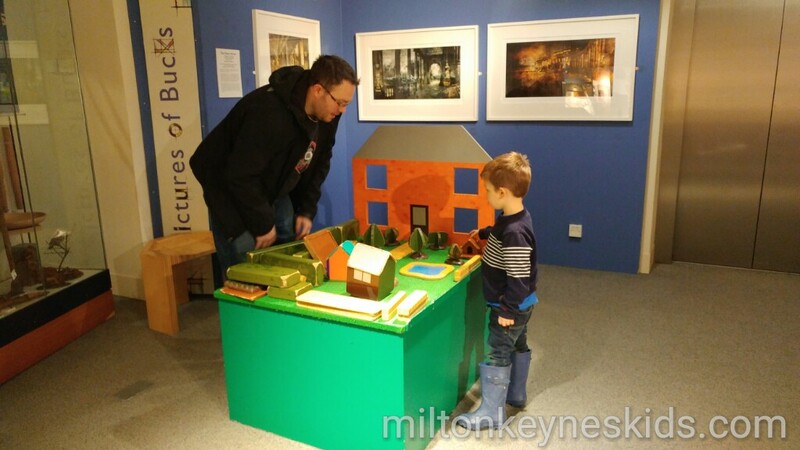 Stockwood Discovery Centre in Luton is free as is The Natural History Museum at Tring. 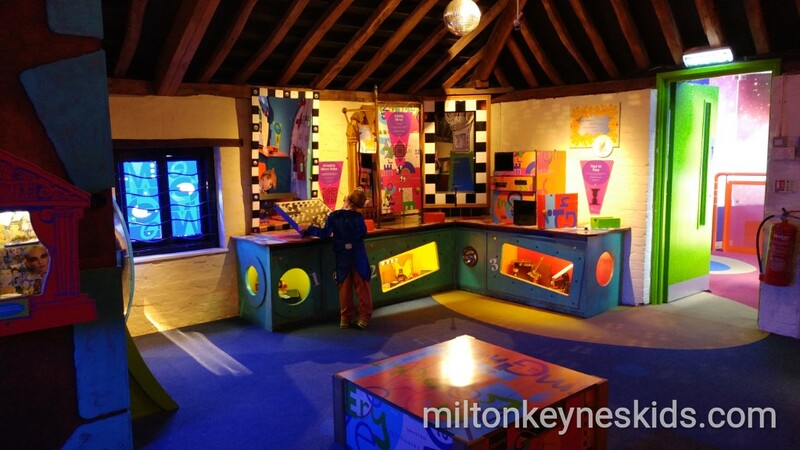 There is a charge for Milton Keynes Museum but you pay once and you can go all year. But this is more of a fun play destination and so perhaps should be regarded as such. My sons – now aged three and five as I write this – still had a really good time going back. But I now think of it as more of a treat day out and would only go every so often. They do an annual pass which is £70 but we’d have to go at least three times a year to get our money back and I don’t think it’s worth it.